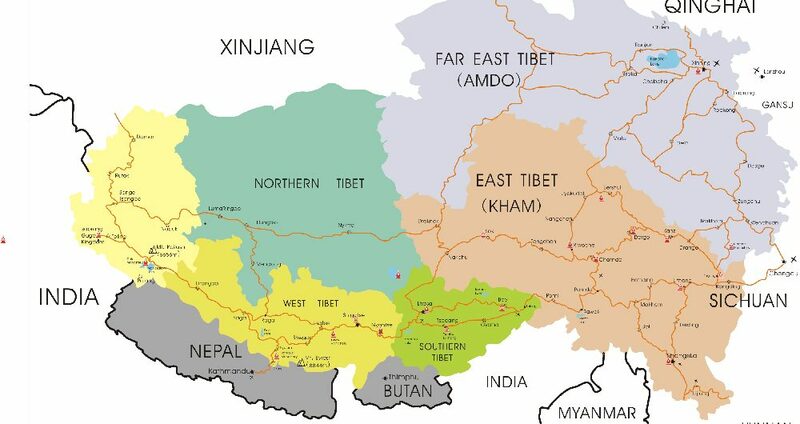 As you may already know that all foreign travelers must have Tibet travel permits to enter and travel in Tibet legally, here you may ask how much the Tibet travel permits cost is. Here let local Tibet travel expert service answer you the question. Many Tibet travel advertisements on google Ad words say that “Tibet Travel Permit is Free“. Certainly you should not trust this misled message. This is totally a tourist trap. 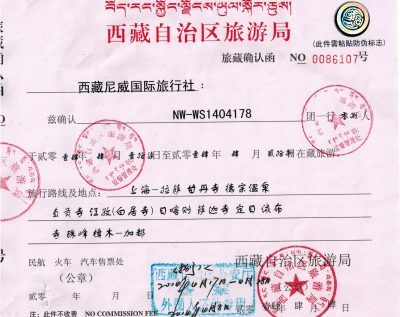 The governmental tourism authority issued Tibet permits copy does have the phrase of “No Commission Fee” on the permits. However, the problem is that the governmental office does not issue and give these permits to travelers directly. Further more, the local tourism authority, security authority, foreign affairs authority etc related offices make the permits application process very complicated and time consuming. It takes much labor work for travel agencies to apply all necessary Tibet travel permits. Therefore it is very reasonable for travel agency to charge the service fee for application and permits delivery. Then what is the cost of the Tibet travel permits? Military Permit service fee: RMB 100-300 per person, this permit is must needed for Kailash, Guge Kingdom, Northwest Tibet, Kham of TAR section. What is the tourist trap of “Free Travel Permit for Tibet“? 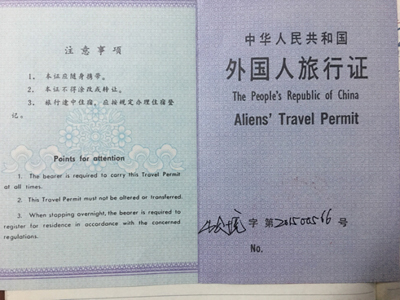 Tibet Alien’s Travel permits,All foreign travelers need this Tibet permit when travelling to not fully open areas. Obviously this is not true for a free permits for Tibet travel. No agency can apply permits without any labor cost, and no agency can sell you a Tibet permit only service. For all foreign travelers, the minimum Tibet travel service would be one one day or half day Lhasa tour plus Tibet permits, and then have free days in Lhasa by themselves before leaving Tibet for next stop. But if travelers go to outside of Lhasa, covering more destination in Tibet, a tour guide, a private car or shared car is necessary. However travelers can still book hotel, tickets etc by themselves. So be careful. Do not trust those “free permits for Tibet” advertisement. And do not trust the full packaged and expensive tours by “Tibetan Owned”. Many of them will say some Tibetan words to you, and claim that they are pure Tibetan with no complained services. But the truth is that, many travel agencies can offer pure native travel guides who are Tibetan, and services are also fantastic. So the best suggestion would be like this: try to find the most reasonable price for authentic Tibetan travel experiences. As based in Lhasa, our travel agency is specialized for Tibet inbound tourism since 15 years back. We provide authentic Tibetan travel itinerary, pure Tibetan guides, all travel permits services, hotel bookings, car rental, ticketing, etc. Our highlight is: for the same or similar itinerary and services proposals you received from other operators, we can offer you reliable services at better local prices. Please feel free to contact us for any details. Our contact email address: [email protected] or [email protected].